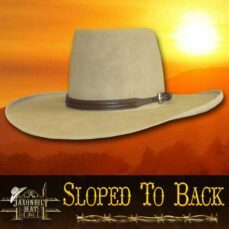 Every Hat Company has a staple hat that is looked upon as the “One” that carries the brand. 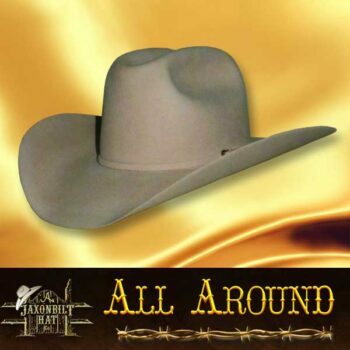 The All Around is one of those kind of hats. The hat has long lines, a smooth transition between crown and brim. A well balanced hat. This is one of JAXONBILT nicest hats. If you like balanced dimensions and great quality then this is the hat for you. Choose your color and quality, order today. 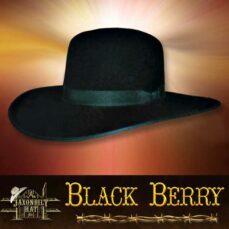 This hat, sometimes called the “Queen High” because the same brim style is worn by most Rodeo Royalty. The All Around has a classic cattleman crown generally finished about 4 3/8 inches high and a brim width of 4 inches. Color and trim are your option. Don’t mistake, the hat is well liked by both men and women.